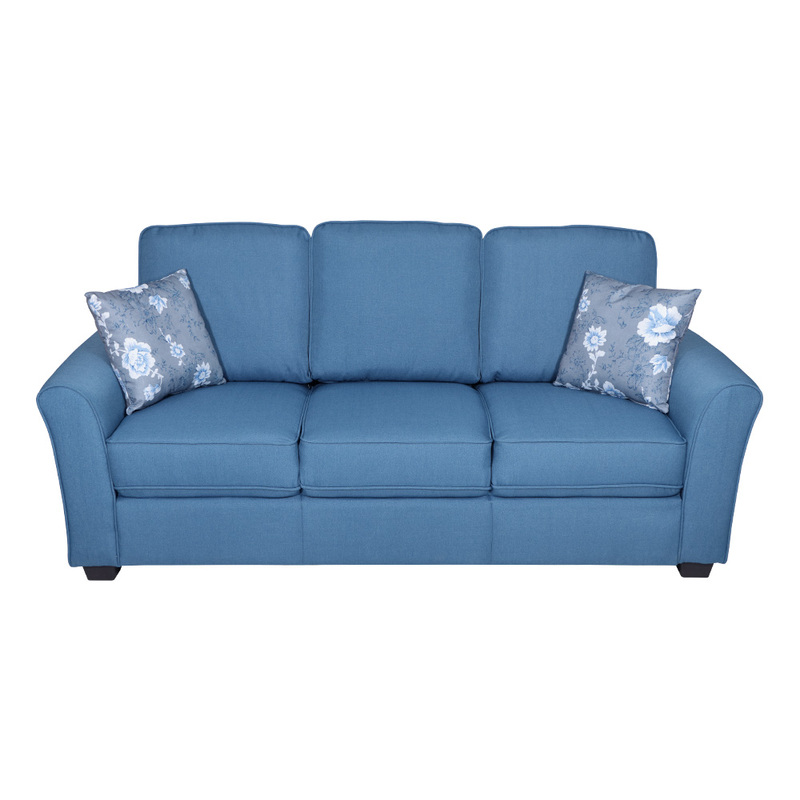 A truly outstanding piece, the Andorra Fabric Sofa 3 Seater is also available in dazzling shade of blue. This piece features a unique handcrafted design, accentuated by the floral patterns on the cushions it comes along with. Perfect for any setting, this piece would look rather striking in a modern day home. This is due to the clean lines, the minimalistic design, the curved armrests and the slanting sofa legs. Absolutely cozy, the sofa also features cushion seating and a cushioned backrest. The Andorra collection also includes two-seater sofas, armchairs, corner sofas and sofa beds. You can choose to buy this piece from our online furniture site, or visit any of our 25 furniture stores across India for the best deals in home furniture.